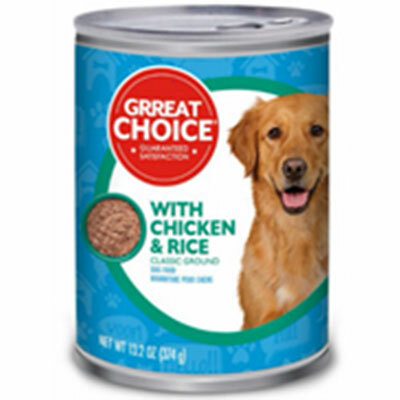 BREAKING NEWS: PetSmart has announced a voluntary recall of one lot of its Grreat Choice Adult Dog Food with Chicken and Rice Classic Ground due to possible metal contamination. This product is being voluntarily recalled as a precautionary measure due to metal contamination that could potentially be a choking hazard to pets. According to a company representative, this recall was prompted by consumer complaints that had been reported to the manufacturer. PetSmart has yet to receive any consumer complaints. If you have this product in your possession, discontinue use immediately, and return the food for a full refund. A full list of PetSmart retailers can be found here. You can also contact PetSmart’s Customer Service at 1-888-839-9638, or contact your nearest FDA consumer complaint coordinator with any questions. This PetSmart recall is just one of over 35 recalls that have occurred in the past year. Your pets deserve better.